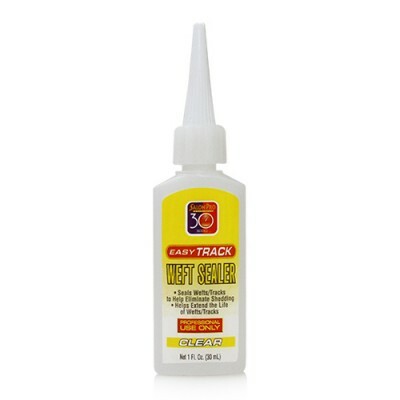 •Very economical: Weft Sealer’s NO shedding benefit guarantees longevity of usage of purchased hair. 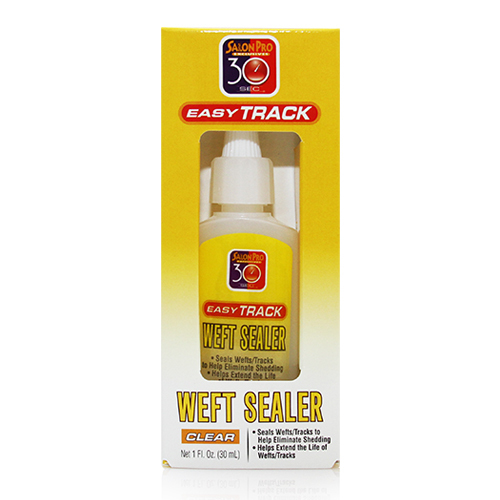 •Provides a high level of freedom: Weft Sealer users do NOT have to worry about shedding or loss of hair under the situations such as rain, swimming, and daily workouts and other physical activities. •Easy to use with Tube type. DIRECTIONS: Snip nozzie as close to the tip as possible, (see diagram). Apply a thin layer of Weft Sealer directly onto the threads or weft/track (first on one side, then on the other side). Allow to dry completely; usually 15 to 20 minutes. For MAXIMUM protection apply to both sides. NOTE: OVER USAGE OF WEFT SEALER WILL LENGTHEN DRYING TIME.